IHG Rewards Club has 2,000 Bonus Points Packages at select InterContinental Hotels that are available for Ambassador members and IHG just updated the list of eligible hotels under this offer. You must book specific “Bonus Points Package” rate that will earn 2,000 bonus points for the stay regardless of the number of nights. Note that you are often required to book rates that are not the most economical ones in order to be eligible for these bonus points. 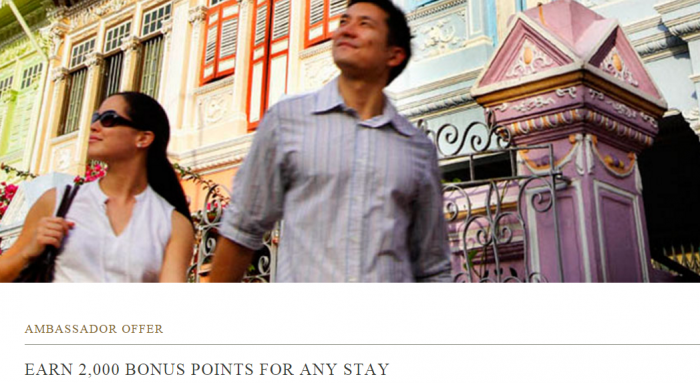 Bonus Points Package points are base points and thus qualifying towards Platinum status with IHG Rewards Club. Remember that these bonus points are elite qualifying ones, but they may not always post as such and then requires intervention from the Ambassador service center. One could say that these are mainly targeted at business travelers that can expense their stays and don’t care if the rate is bit inflated. Must be an InterContinental® Ambassador member to participate. 2000 bonus IHG®Rewards Club points will be awarded for a qualifying stay, which must be booked on rate IKAM2. Allow 4 weeks from stay for bonus points to be posted to your account. Subject to availability. Offer valid on new bookings only, not applicable to groups and cannot be used in conjunction with any other offers or special promotions. Only one room per member will be awarded the applicable points. Available at participating hotels only. IHG® Rewards Club programme terms and conditions.